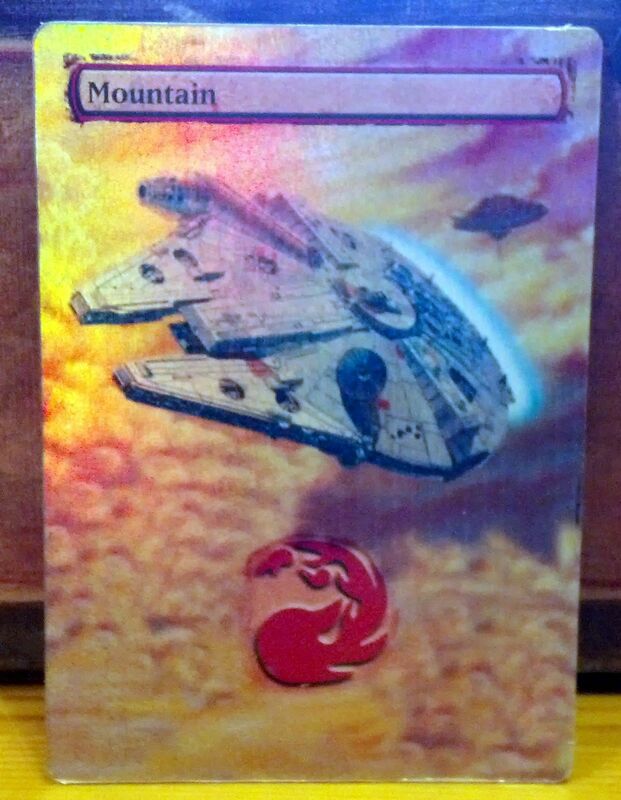 This foil card of the Millennium Falcon believe it or not, is for Magic The Gathering collectible card game and is apparently used for tournaments. I have not idea, but the foil look is quite nice. Besides, it was only $5. This entry was posted in Star Wars CCG, Things that i don't have yet..., Trading Cards and tagged Bespin, Cloud City, Millenium Falcon, Millennium Falcon, Star Wars. Bookmark the permalink. If you find another one like this, could you send me a link? I think he has another. Wait a moment.